Following U19 success it was then the turn of the U16 girls to try and match last years fabulous march to the final. The team suffered a major blow just days before the quarter final when playmaker Diana Fartais suffered an ankle injury that ruled her out of the playoffs. This meant that coach Mel Chowns had to make some positional changes but she did have left handed newcomer Ana Zimmerman playing her first games and Tyla Sartain ready to step up with a captains performance. The quarterfinal looked a tough ask as they faced the team that topped the Northern League, Nottingham but Zimmerman made an instant impact with a field day of power shooting from 9 metres and Sartain found the 3-3 defence of Nottingham’s to her liking as she waltzed through time and time again. The team quickly realised they had the skill and tenacity to win this as their opponents struggled to beat Rhiannon Stewart in goal. They edged ahead and went in at half time with a 3 goal lead at 11-8. Coach Chowns expected Nottingham to change their defence but they started in the same way and Sartain again exploited the gap behind the high 3. Nottingham had no defence for the power shooting from Zimmerman and the team increased the lead to head into the semi final with a 24-17 victory. A great achievement for this very young team with 3 of the first 6 court players aged just 13. The semi final saw the Eagles again drawn against Shropshire , who fielded a very experienced team, whilst the effort of the earlier match looked to be catching up with the young Eagles side. The team got off to a bad start, rocked by the Shropshire attack where their right back was causing us problems and we quickly found ourselves 5-0 down after 6 mins. Coach Chowns called a timeout to try and steady the ship and gradually the team got going but scoring goals remained tricky. The Eagles fought back to 4-8 at half time and set about winning the second half. Zimmerman’s efforts in the first match were starting to take their toll and Isabella Bujosa-Armora was struggling with a hip injury so Chowns changed things around and moved Sartain to Right back and Emma Thomann to left back and this had an immediate effect and the Eagles started to fight back. We moved to within 3 goals but despite adopting an aggressive defence in the last minutes, we just couldn’t claw our way back. Shropshire’s great start was the difference as Eagles actually won the second half but would rue the poor start that cost them dearly. It was however a fantastic effort to get to the semi finals, without Fartais and with such a young team. Team Manager JC Lacour and Coaches Chowns and Lucie Duluc were justifiably proud. 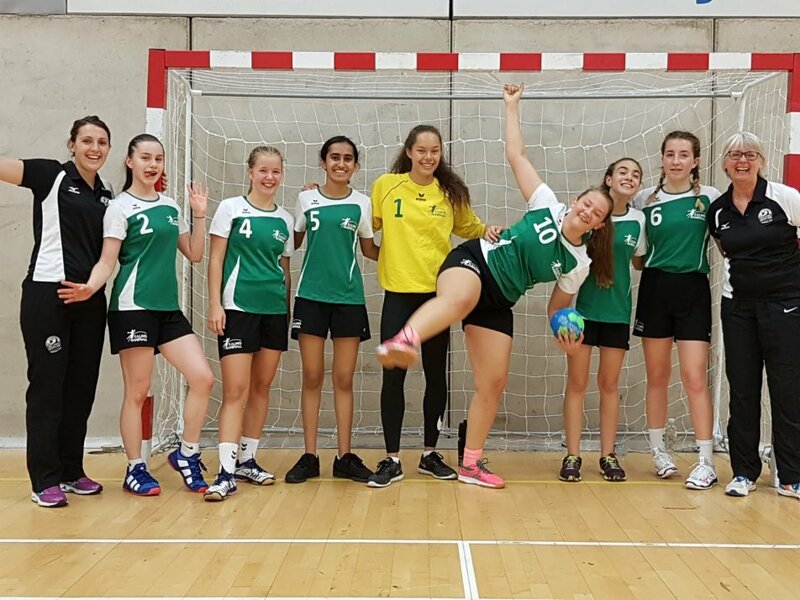 Team: Rhiannon Stewart (GK), Ana Zimmerman, Simran Mankoo, Emma Thomann, Tyla Sartain, Imogen Towers, Isabella Bujosa-Armora, Christina Matei, Lorena Lanau, Julie Zaire.